Do you need a quick and easy weeknight meal perfect for summer? 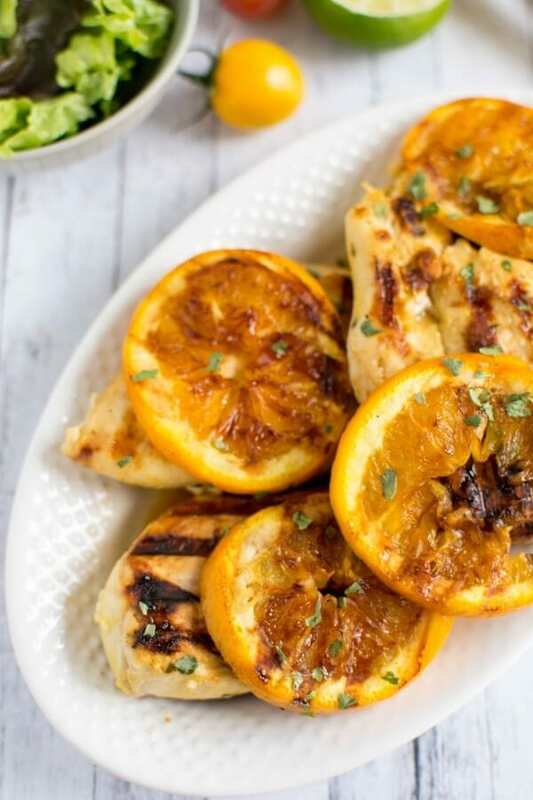 Make this on your indoor grill or outside, either way you’ve got a delicious, juicy Grilled Citrus and Mustard BBQ Chicken that is perfect on it’s own or in salads for a great summer meal! 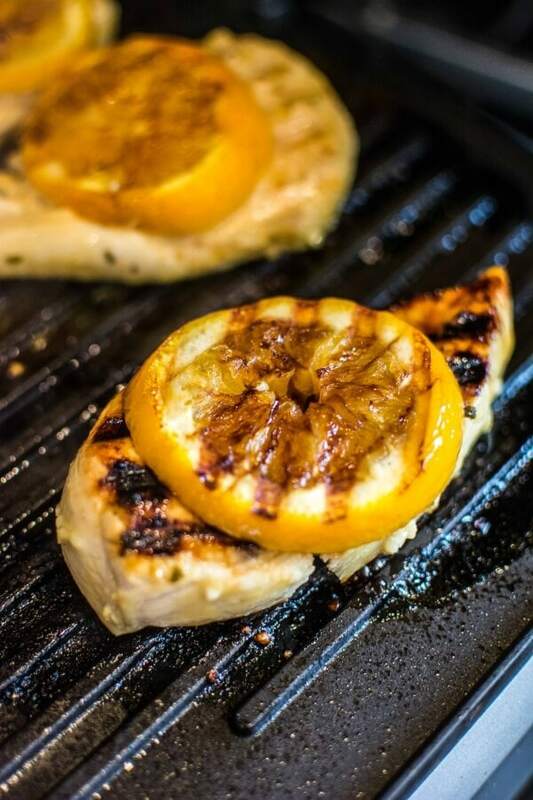 I’m guessing there are a few of us out there that tend to shy away from grilled chicken breasts thinking either A. they are boring, B. they are dry or C. both of these options. But in yet again another of my pledges to eat a bit healthier (not to mention the fact it’s been ages since I’ve even tried) I decided to give it another go and and ended up with some pretty tasty and nice and juicy chicken. Partly by accident, but, you know, it all worked out! You see, I popped these chicken breasts in the marinade intending to let them sit for about an hour before I grilled them. 45 minutes later the tornado sirens were going off and long story short we ended up getting take-out a couple hours later instead when all was said and done! I grilled the chicken the next day for lunch and it came out perfectly with the extra time to marinate! Now if you read this blog much you may realize I’m a sucker for citrus. The mustard citrus combo in this sauce works really well! I found some Sweet Baby Rays Sweet Golden Mustard BBQ sauce and I love it! It’s probably far from an authentic Kansas City style but, hey, you gotta try new things sometimes. I have a nice new Traeger grill and that would have been perfect for these, but I actually ended up using my Cuisinart indoor grill because I just didn’t have much time to get these done and it was the only thing I was grilling anyway, so I didn’t really want to fire up the big grill. 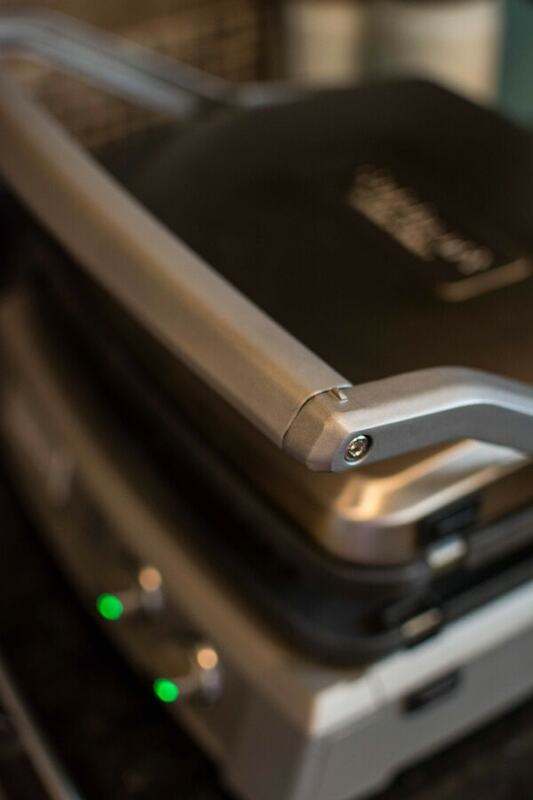 Since you can close the lid on this machine it’s like a double grill and everything cooks in half the time! I can’t complain about that, especially since it cooks so well! Any way you want to make it, this chicken is a perfect summer night meal! Not to mention it makes great leftovers! Do you need a quick and easy weeknight meal perfect for summer? 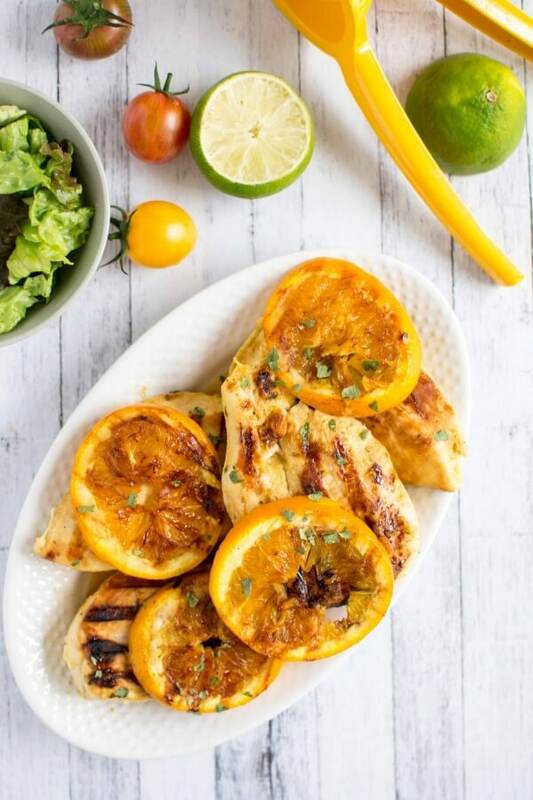 Make this on your indoor grill or outside, either way you've got a delicious, juicy Grilled Citrus and Mustard BBQ Chicken that is perfect on it's own or in salads for a great summer meal! Garnished Plate is a participant in the Amazon Services LLC Associates Program, an affiliate advertising program designed to provide a means for sites to earn advertising fees by advertising and linking to amazon.com. This recipe deserves a spot on my weekend menu! It sounds so flavorful. I love citrus, too. 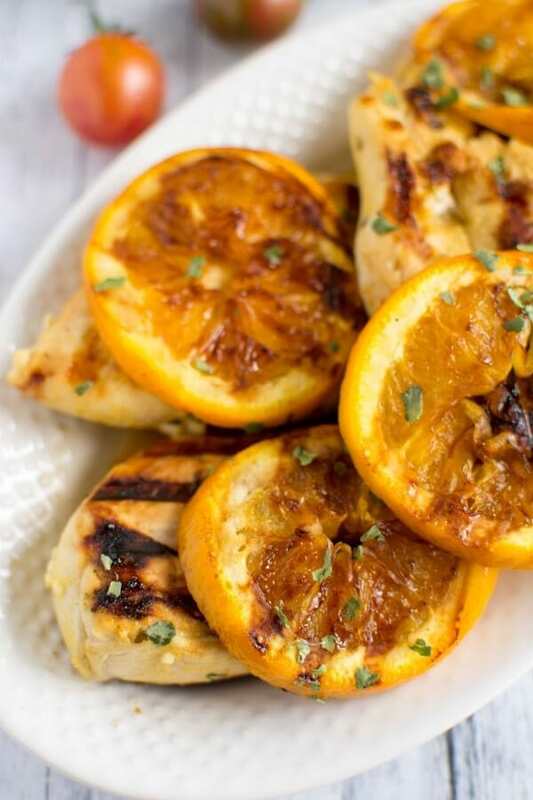 Did you grill the orange slices dry, or did you brush them with oil? Yup, it's definitely bbq season and I am totally loving it! 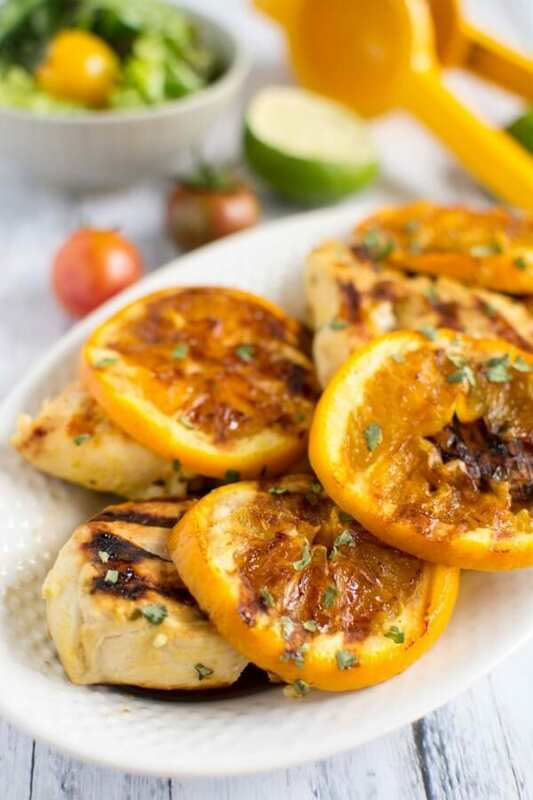 Your citrus BBQ chicken seems so fresh and flavorful - exactly what I look for when I'm grilling meats! Yum! I love grilling season. There is so much flavor you can put into your foods. I love how you grilled oranges to go with this. This chicken looks like it would be so amazing! I definitely need to try this out soon.